It was Steve Jobs who said, “Computers themselves, and software yet developed, will revolutionize the way we learn.” His prediction certainly rings true today. Just think about it. Most of us carry our cellphones – like pocket computers – with us everywhere we go. It used to be you never left home without your wallet. Now, it’s your wallet and cellphone – and of course, your car keys. Thanks to ever-evolving technology, we can use our mobile devices as tools to learn how to do just about anything just by finding the right app and downloading it to our iPhones or Androids. There are even apps for home improvement projects. 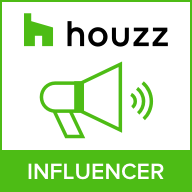 For example, if you’re thinking about redesigning your living room and need some inspiring ideas, the Houzz app is a good one to get – and it’s free for Android and iOS devices. It has a massive gallery of photographs to spark the imagination of any do-it-yourself interior designer, and includes access to a network of local professionals to help get the job done. It’s a top app for renovation projects. Another good app is wikiHow . This one is also free for Android and iOS and provides a variety of articles, videos, photos and illustrations on a wide range of topics, including home improvement. Or look into Zillow Digs . This home improvement app even provides estimates on the cost of a remodeling project as well as access to local architects, designers and contractors. Certainly these apps are convenient digital tools, but not everyone is a do-it-yourself homeowner, regardless of how well these apps deliver on information. When it comes to applying what we learn to our home improvement projects, maybe getting face-to-face guidance from real live craftsmen in the field is preferred if you want to ensure quality.